New Interview with Of The Sun! Southern progressive metal mammoth’s, Of The Sun, have just released their sophomore album called Before A Human Path. 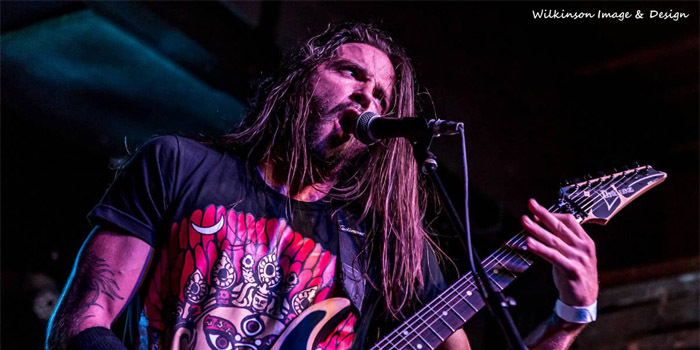 I had the pleasure to interview guitarist/vocalist Patrick Duvall to find out how the band is doing and where they are heading. Southern indicates the cultures we've been exposed to, the influences we've derived, and the attitude that was distilled from both. There's more aggression to our sound than any progressive metal band that we've heard, a rawness to our strangeness. And yeah, progressive metal for the obvious reasons. We deviate from formula and we're heavy. If you hear a song for the first time and successfully figure out where it's going before it gets there, that's what we call “boring”.